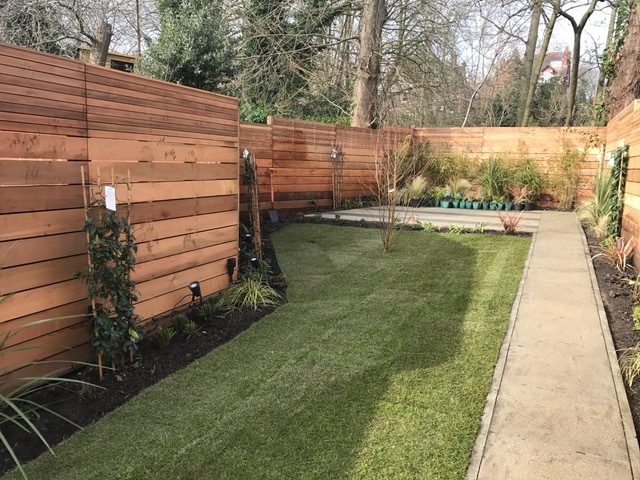 PGSD was asked to work on two gardens in Highgate, north London, by construction company Heydon & Carr who were converting one house into two separate dwellings. We designed and planted both of the gardens and installed top soil, turf, trees, shrubs and perennials. The plants, of which there were several hundred, included: Clematis Montana on 1.5 Trellis; Jasminum on 1.5 Trellis; Parthenocissus on 1.5 Trellis; and Hedra on 1.5 Trellis. Architectural Shrubs and trees comprised Phormium 5L; Cordyline 5L; Yukka 5L; specimen Japanese Maple; Bamboo 20L pots; Olive tree 1.5m tall; and Betula multi stem 2.5-3m tall. The borders contain a mix of shrubs, perennials and grasses in 3 to 5 litre pots: Agapanthus; Aster; Geranium; Heleborous; Heuchera; Kniphofia; Rudbeckia; Grasses 5L; Carex Evergold; Stipa Tenuissima; and Semperviren. 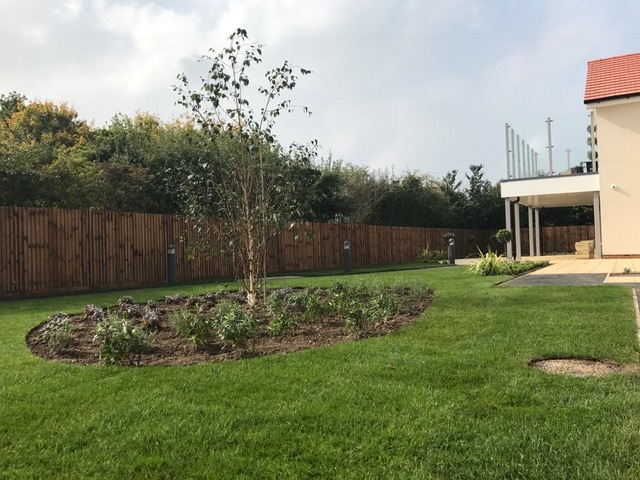 PGSD Limited was asked to help with horticultural work by Castleoak for Oak Manor, a new build care home for their client MHA in Shefford, Bedfordshire. 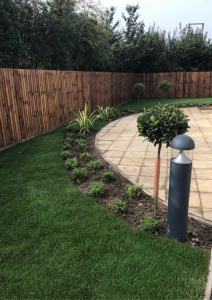 The project included the installation of topsoil, 200mm deep for grassed area, 300mm deep for planters and 500mm deep for tree planting. dementia specialist care with features such as an on-site hairdressers, cinema room and coffee shop. MHA is a well-established charity with over 70 years’ experience and is one of Britain’s most respected care providers. MHA provides a range of accommodation, care and support for almost 17,700 older people nationwide. PGSD Limited has been helping with planting for the Chiswick community programme. PGSD and Hounslow Highways will be looking after the flower beds for this project. PGSD, on behalf of Hounslow Highways restocked the flowerbeds with a selection of perennials, including common grass, purple lavender and bergenias. Barely were the plants in before the bees were already getting to work. Now the beds are full, Chiswick should be able to enjoy improved flower beds along the High Road. Wandsworth Roundabout is a TFL (Transport For London) asset. For for the last 10 years, PGSD Limited has mown the wild grass six times per year and cleaned up once a year. For a variety of reasons, the site was attracting litter. PGSD received an instruction through CVU London Highways Alliance (contracted to TFL) to completely clear the area, only leaving the trees. 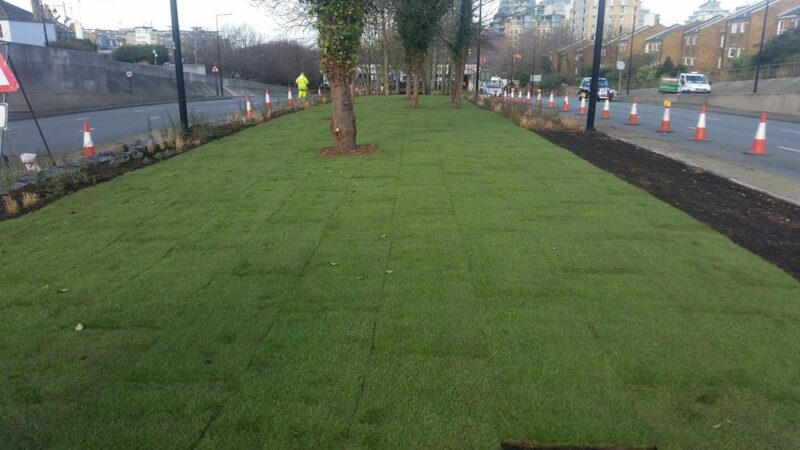 The project included the installation of new turf to create a park like area for local residents to use. Alan Davidson from TFL had a vision of bringing the area back as a pleasant place to be which could be enjoyed by the public. The photograph shows the work in progress. 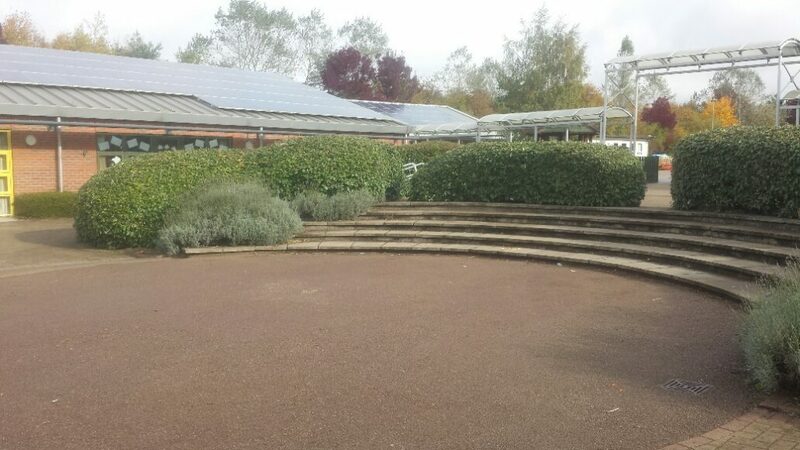 PGSD Limited was asked to work on a project for Church Langley Community Primary School, in Harlow, Essex. We deployed a team to cut back Elaeagnus shrubs in the schools’ playground. Elaeagnus shrubs have silvery-scaled leaves and fragrant flowers. PGSD was asked to reduce the shrubs back to curb edges, clear from lights and reduce in height. In addition, we were asked to cut back and clear overgrowing branches and vegetation coming through a high fence by the astro pitches. We cut them back to a height of 8 foot. We then removed all waste from the site. All in a days’ work for PGSD. 20 Coral flower; 10 lavender; 10 Fatsia; 10 Spirea – long colour; 10 Red dogwood; 60 mixed grasses; 10 Snowflake hydrangea; 10 Euphorbia; 10 Purple hebi; 10 Euonymus fortune emerald gold; and 10 blue Ceanothus. Isleworth Town Primary School has served the local community since it was founded in 1910. PGSD Limited worked with ARJ Construction on a project for One Stop Doctors, at their new build cutting edge Clinic in Hemel Hempstead. 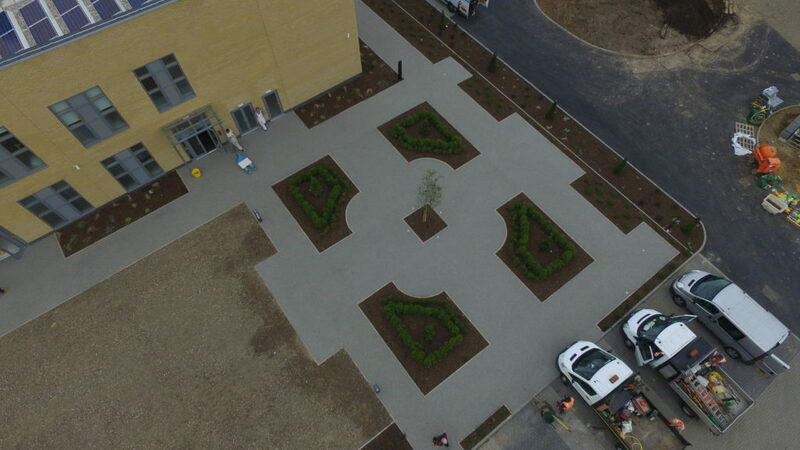 PGSD had an initial brief to carry out soft landscaping around the new facility. The project took eight weeks to complete, working with all stake holders to ensure a smooth transition of works. 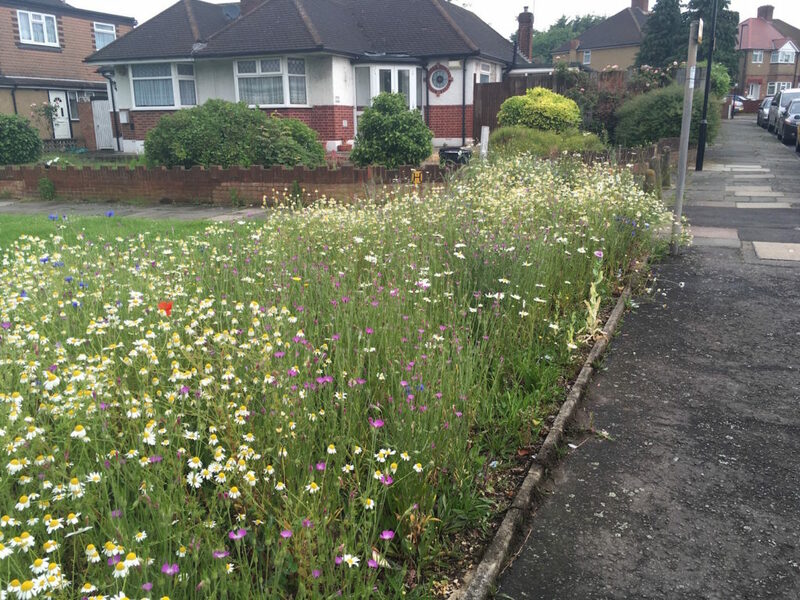 As part of a project for Hounslow Highways, PGSD has planted wildflowers within a trial area, at Spinney Drive in Bedfont, West London. 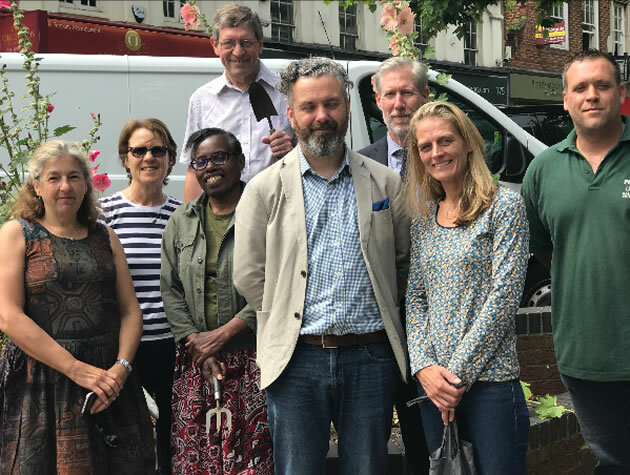 The objective is to bring more biodiversity to the Borough. The wild flower seed mixture composition comprised 60% Corncockle seeds, 5% Cornflower seeds, 10% Corn Chamomile seeds, 5% Corn Poppy seeds, 5% Meadow Buttercup seeds, 5% Meadowsweet seeds, 5% Ox-eye Daisy seeds and 5% Lady’s Bedstraw seeds. Crane Park Primary School www.craneparkprimary.org is located in Hanworth, Middlesex. The school has 501 pupils and is a central part of the local community. PGSD Limited was asked to level an area for a new mud kitchen, remove an old path and an old bricked mud kitchen. The project included the supply and installation of a 1.2 metre high rounded top palisade fence on two sides of the new mud kitchen. A gate, as well as a 200 mm high sleeper bed, was installed along the wall. 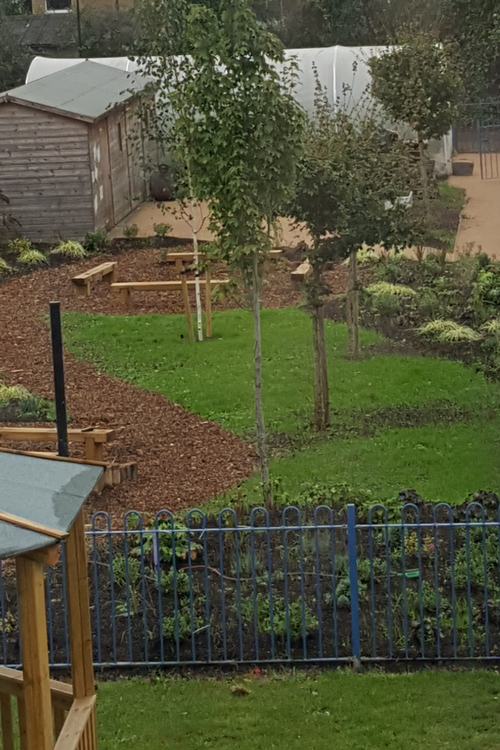 100 mm high kick boards were installed around the bottom of the fence to retain wood chippings. Materials included soil, a sand sub base and turf. Plant equipment included 360 degree excavator. Wood chippings were supplied free of charge by PGSD. 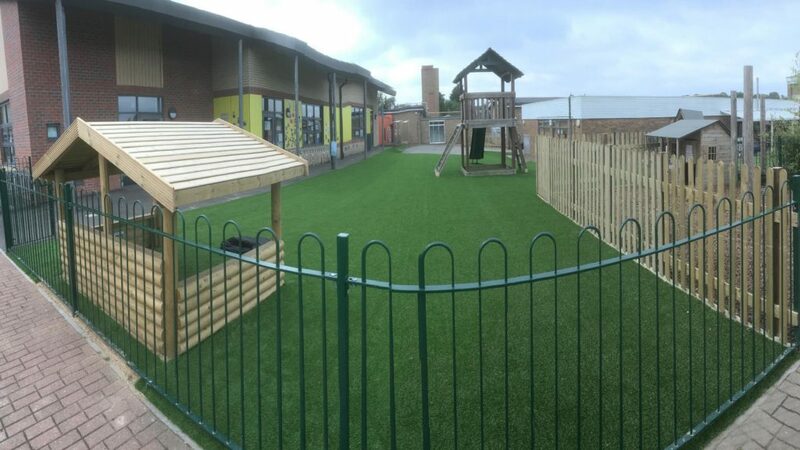 PGSD supplied and installed artificial grass to a large Early Year play area. This included shock pads under a large physical play area. 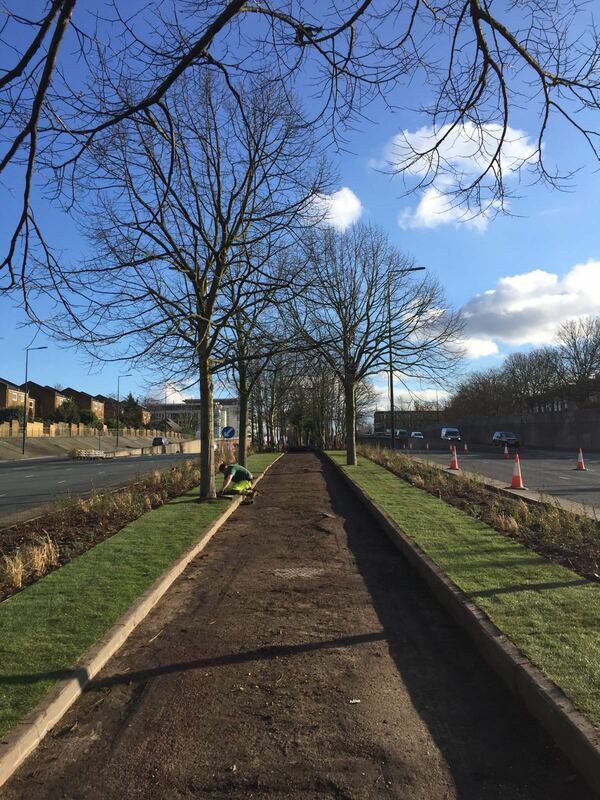 We removed top soil, leveled & cleared the area and supplied & laid 50mm MOT main base. 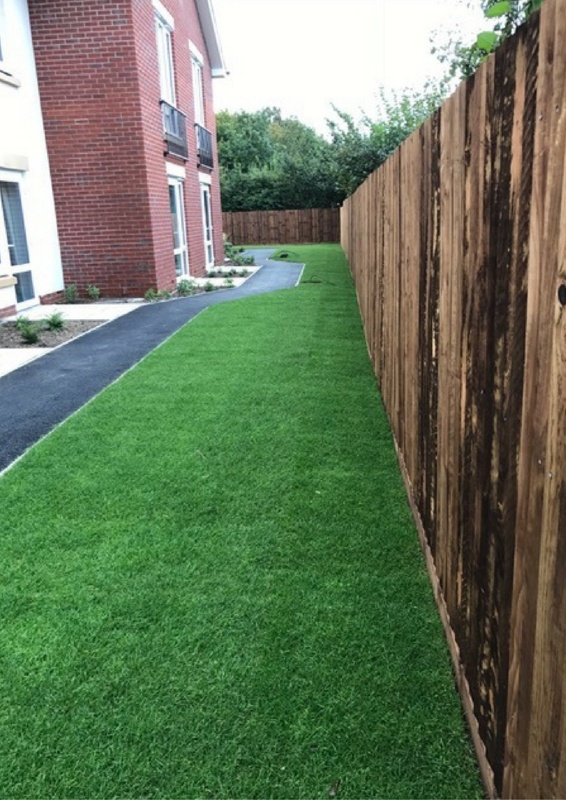 PGSD also relaid 10mm sharp sand sub base, fitted Geotex membrane matting and laid, trimmed and fixed the artificial turf. All arisings were disposed of from the site. The project included a Year 3 corridor window area and an area in front of school. PGSD removed shrubs within the corridor area. 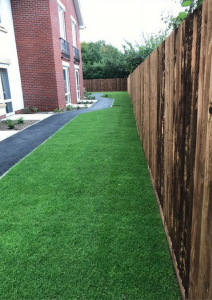 We supplied & installed a 200 mm high sleeper bed along the wall/ edge of path, and tidied and seeded around the edges. 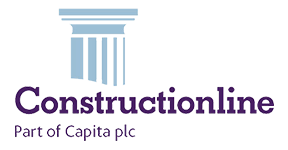 PGSD is a member of BALI which is the landscape industry’s trade association. All BALI members are monitored and their work standards are inspected on a regular basis. At Trinity Road Wandsworth, the central area of 2,800 square metres was originally split into two areas. The lower area of comprised formal soft landscaping. This had been installed in 2008 and the upper section of remains as woodland. The area had gradually degraded over the course of a few years. It had deteriorated into a poor state that was not very pleasing to the eye. Councillor Clay noticed this and liaised with TFL (Transport for London) about the matter. 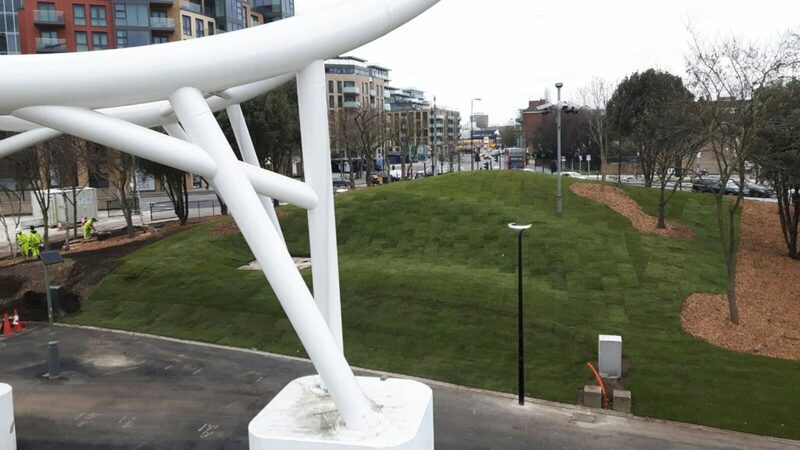 Subsequently, the area was identified by Alan Davidson of TFL (Transport for London) for a major upgrade. TFL handed the project over to the Better Streets design team CVU. In turn, they asked PGSD to design and install the project. 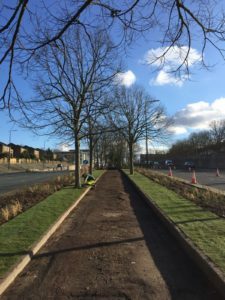 On completion of the project, PGSD received praise from CVU ,TFL and Councillor Clay, who had originally raised this issue as a matter of concern.